Jawa Motorcycles has launched the Jawa Forty-Two classic at an event in Mumbai alongside the ‘Jawa’ and the Jawa Perak factory-custom bobber. 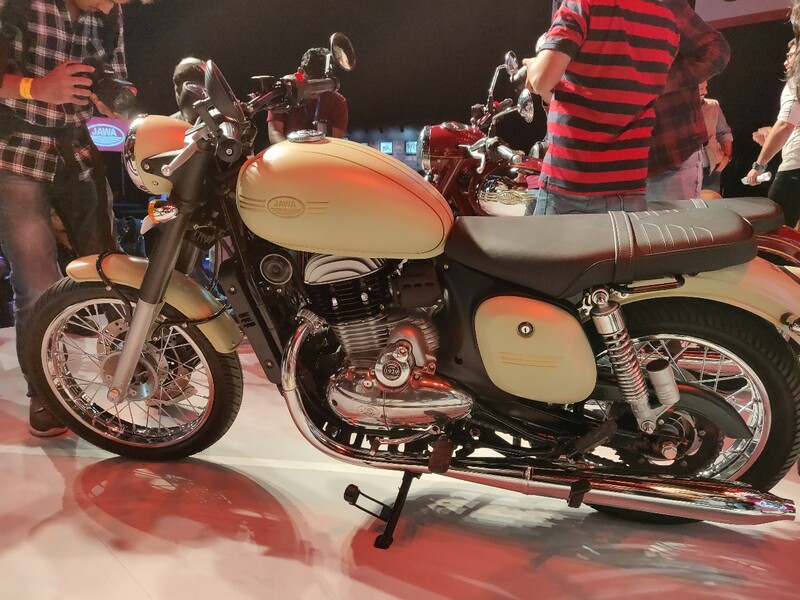 The Forty-Two is priced at INR 1.55 lakh (ex-showroom Delhi). The Jawa Forty-Two is an aggressive version of the classic motorcycle. It features bright paint schemes and slightly redesigned bodywork. The Jawa Forty-Two is an ‘aggressive, toned and muscled’ version of the born-again Jawa. In other words, the Forty-Two is the bold version of the standard model with bright colour schemes and lack of chrome highlights on the tank and body panels. 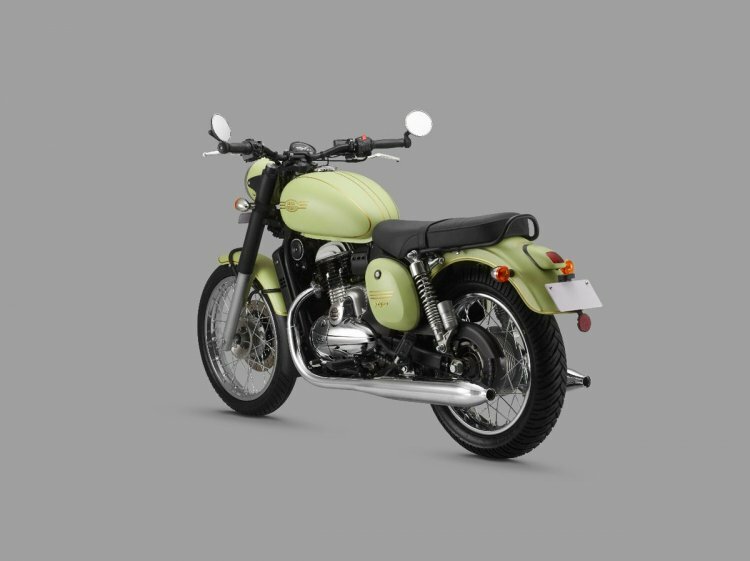 The Jawa Forty-Two is available in two metallic colours – Comet Red and Starlight Blue, and four matte paint schemes – Hally’s Teal, Galactic Green, Lumos Lime and Nebula Blue. As compared to the classic, the Forty-Two features a separate headlight nacelle with an off-set speedometer, a muscular fuel tank, lowered handlebar and shorter fenders. Customers can book the Jawa Forty-Two online starting today, and deliveries will begin from January 2019. The company has 105 dealer signups in Tier 1 and Tier 2 cities, with 64 operational outlets. Motorcycles will start reaching dealerships from December 5, and test rides will commence shortly after. The Forty-Two is powered by the 293cc, single-cylinder, four-valve motor that powers the Jawa. The liquid-cooled, BS-VI compliant, fuel-injected engine produces 27 bhp of maximum power and a peak torque of 28 Nm, mated to a six-speed gearbox. The twin exhaust canisters enhance the retro design of the bike. The double-cradle chassis, telescopic front forks & twin rear shock absorbers, and the braking setup are carried over from the Jawa classic. A single-channel ABS unit comes standard. The Jawa Forty-Two uses the same 18-/17-inch wire-spoke wheels at the front and rear with MRF Nylogrip tyres. The Jawa Forty-Two will rival the Royal Enfield Thunderbird 350X. The Jawa Forty-Two has a 14-litre fuel tank capacity and a kerb weight of 170 kg. The wheelbase stands at 1369 mm, while the saddle height is 765 mm. The Forty-Two will compete with the Royal Enfield Thunderbird 350X.